Today 17th Sept 2017 was born the month of Puratasi ~ the tamil month of Purattasi has a pride of place. Devotees throng Vishnu temples, especially Tirupathi and other temples of Lord Srinivasa. 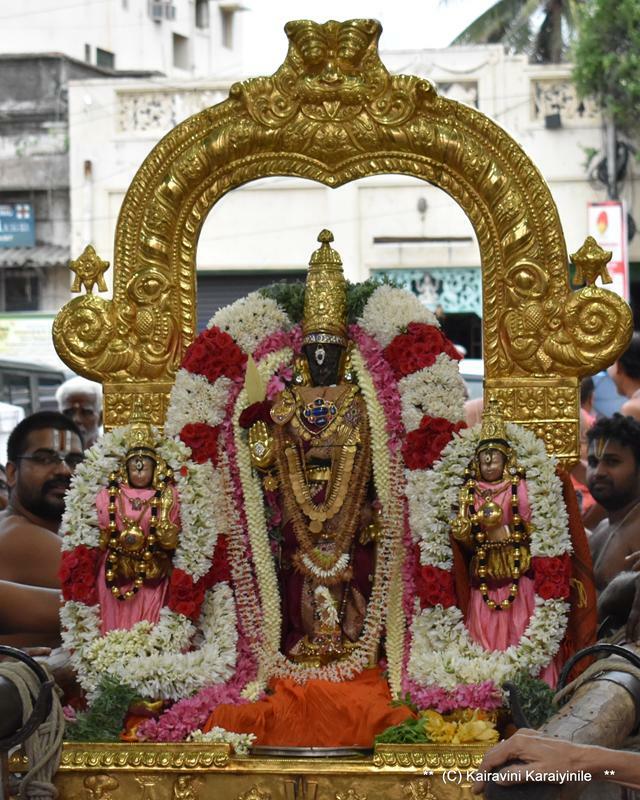 In this month, there will be the annual Brahmothsavam at Tirupathi. All the Saturdays of this month are treated as holy days. In some homes, there is the practice of ‘Maavilakku’ ~ lighting a lamp on rice flour richly added with jaggery, ghee, placed in a form reminiscing the holy Thirumala hills and the Lord of the Seven Hills – Srinivasa. People firmly believe that Thirupathi Balaji visits every home when such lamp is lit. Devotees in large numbers visit Thiruvallikkeni Divyadesam. Every Saturday of the month of Purattasi, there will be Periya maada veethi purappadu of Lord Azhagiya Singar. 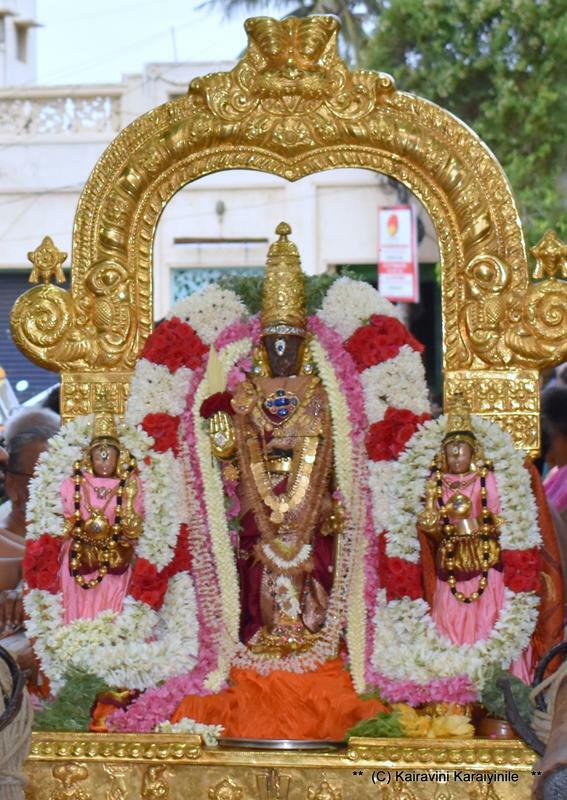 Today at Thiruvallikkeni divyadesam, being the masapirappu of Purattasi, there was Purappadu of Lord Parthasarathi ~ even as He came out, it started drizzling – and the purappadu was cut short to be a very small one. Purattasi is also the time for 9 day Navarathri celebrations. This year Mahalaya Amavasai is on 19th Sept and Navrathri festival starts on 5th day of Purattasi [21st Sept 2017]. During Navarathri, there will be purappadu of Vedavalli Thayar inside the temple. The photos of Perumal posted in this blog are to be reverred and respected. Can be freely downloaded and used for the purpose of Worship by devotees. 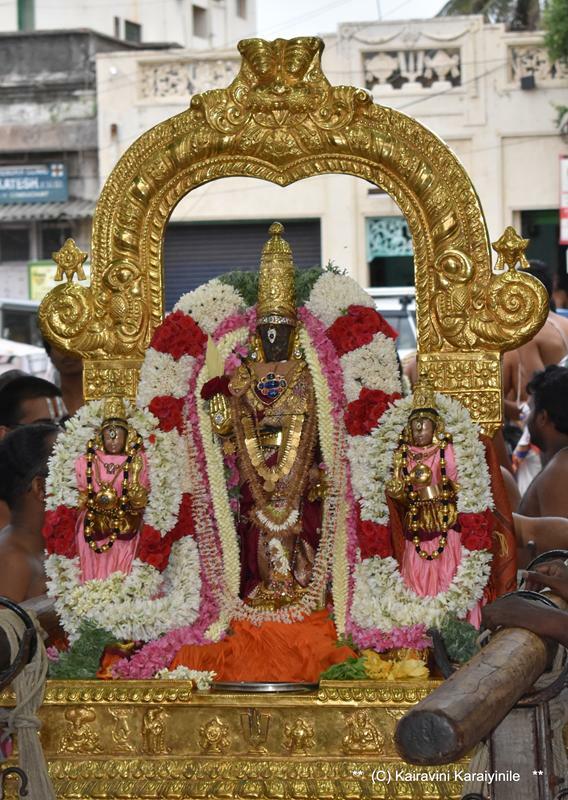 Azhwar, Emperumanaar, Jeeyar - Thiruvadigale saranam.